Un Arcobaleno di CoLoRi: Happy Birthday My Love!!! Buongiorno e buon venerdì a tutte, care amiche scrapperine! Oggi inizia un nuovo Challenge a Crafts 4 Eternity ed il tema di questa settimana è semplicissimo e molto festoso: BIRTHDAY!!!!! 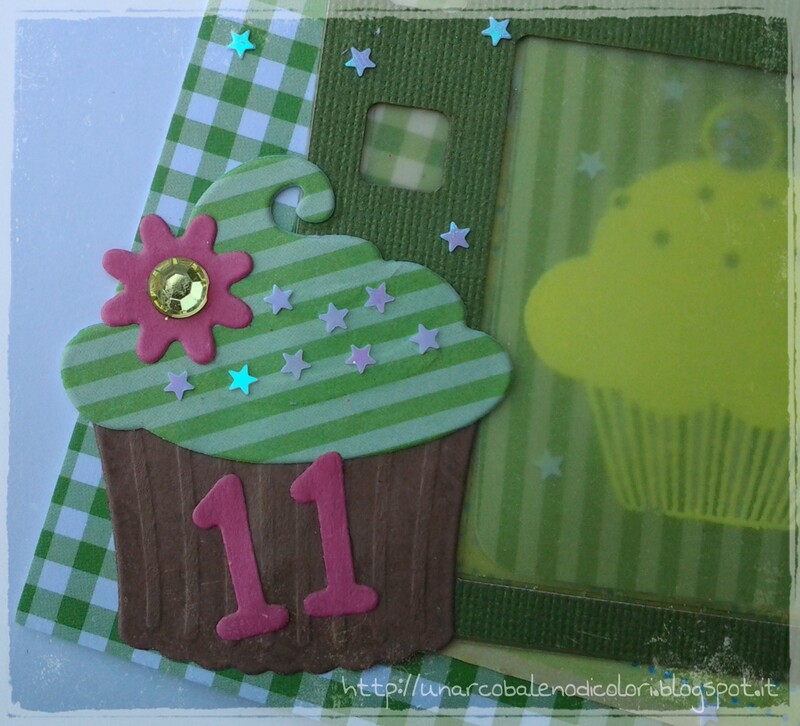 A new challenge at Crafts 4 Eternity today and this week the recipe is very simple and funny: BIRTHDAY!!!!! Il timbro è un digi di Tiddly Inks, colorato con Spectrum Noir e Copic. Anche il sentiment è di Tiddly Inks. The image comes from Tiddly Inks, and it was coloured with Spectrum Noir and Copic. The sentiment too comes from Tiddly Inks. 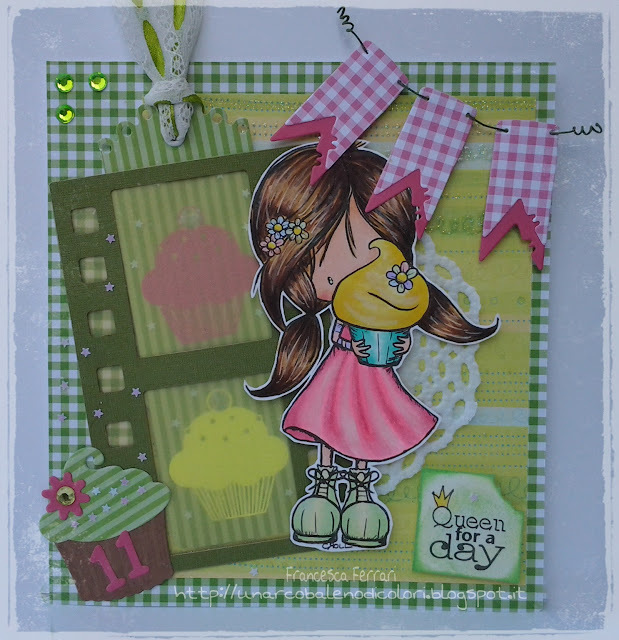 Per realizzare questa birthday card ho utilizzato carte Crelando, fustelle di Marianne Design, Nellie Snellen e Magnolia, timbri di Artemio embossati a caldo, mini stelline cangianti, strass, un centrino ed un die cut acquistato in fiera Creattiva tempo fa. To make this birthday card I used papers from Crelando, dies from Marianne Design, Nellie Snellen and Magnolia, stamps from Artemio which were heat embossed, mini iridescent starlets, rhinestones, a doily and a die cut I purchased at Creattiva fair many years ago. 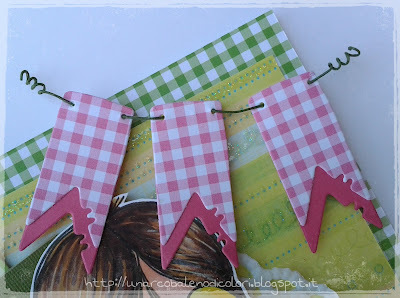 Besides your beautifully colored image - there are three things that pop off the page for me: I love your use of the vellum, the lace in the tag and especially like the wire holding your fishtail flags! Very creative! 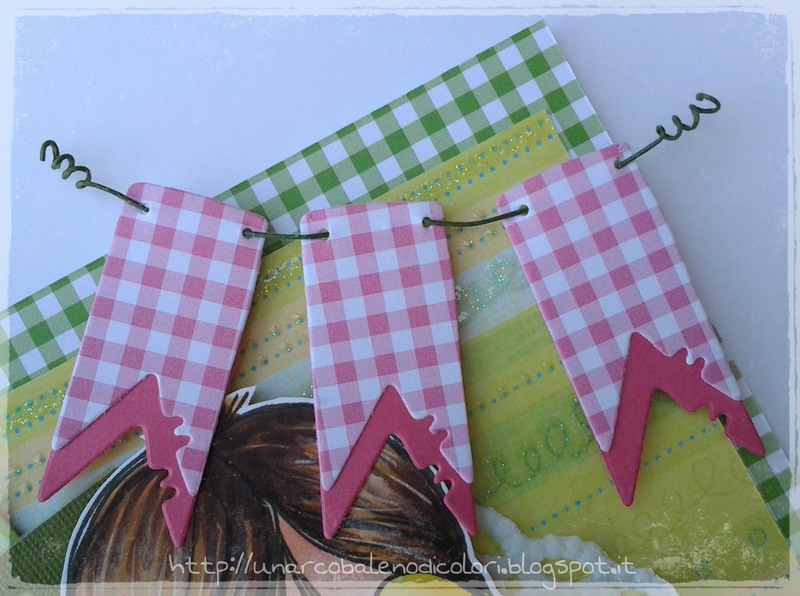 Delighted you are sharing your project and creativity with us at Aud Sentiments! Thanks so much for joining us in our May Recipe Challenge, I love your project and hope you will join us again very soon! Awww, that's just sweet :) Absolutely love it. Thank you for playing with us at Creative Moments. Mi unisco ai tuoi lettori fissi, così non mi perdo più i tuoi capolavori! Lovely card. 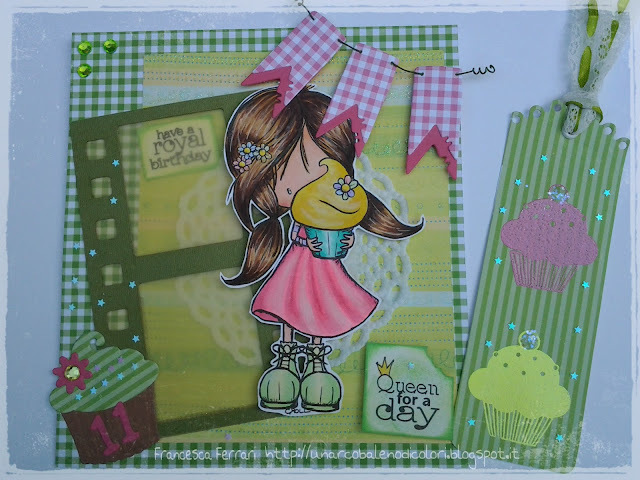 Thanks so much for joining us at the Art by Mi Ran challenge blog.